Bootstrap Business: Nickel, Lead, and Beryllium: The Top 5 Minerals Mined in the U.S.
Nickel, Lead, and Beryllium: The Top 5 Minerals Mined in the U.S.
Did you know there are about 3,800 known minerals on earth? No wonder that with so many minerals available people want to learn more about which ones are the most mined in order to sell. These valuable minerals substances found in the Earth are used in different fields ranging from the construction industry to the medical field. Keep reading to learn the top 5 mined minerals in the U.S. The Top 5 Mined Minerals In The U.S.
Before getting into our list, it's good to understand what a mineral is. It's a substance that occurs naturally, has a well-defined chemical composition, and is formed by geological processes. The American way of life has come to depend on mining many of these minerals to help with building airplanes, medical equipment, jewelry to name a few. Minerals are such an important part of our lives that there are people that own land with minerals forming on them are being contacted to sell their mineral rights. Many of these landowners had no idea they owned minerals in the area. It's important to understand everything about buying mineral rights before making this decision. This mineral is popular and known by all ages. It's one of the most familiar minerals around. Some people wear it as jewelry, it's found in our electronics, in satellites, used by dentists, and many other uses. There are many gold investors because they understand the value of gold. It's such an easy metal to work with, that it increases the way it can be used adding to its popularity. The biggest areas in the U.S. to pan for gold are in Alaska and Nevada. Copper is another mineral with many uses making it popular in the U.S. It's used in wiring, tubing, construction, and to build medical equipment. It has antimicrobial properties making it popular in the medical world. Copper mines in Utah, New Mexico, Nevada, Montana, and Arizona have been found to have the most amount of this popular mineral. This mineral is another one that everyone has come in contact with because it's used in everyday life. Nickel has been used to make some of our coins, it's been used to make some of our eating utensils, guitar strings, and fashionable jewelry. This mineral is mainly mined in Michigan and Oregon. This mineral is one of the lightest metals making it perfect for the aircraft, cell phone, and nuclear industries. The U.S. is the leading producer in the world of Beryllium. In Utah in 2010, in only one mine at Spor Mountain, more than 85 percent of beryllium was excavated. This mineral is mostly mined in Missouri and it's popular for making lead-acid batteries. It began to get a bad reputation for it's poisoning capability but it's only harmful if it touches any food or drinks. Once upon a time lead was in pencils and paint until they learned of its toxicity. Lead has also become popular to protect against X-rays. After learning about the top five mined minerals and metals in the United States you might be feeling like a pro. Maybe it has your wheels spinning on digging in a bit deeper about mining yourself. 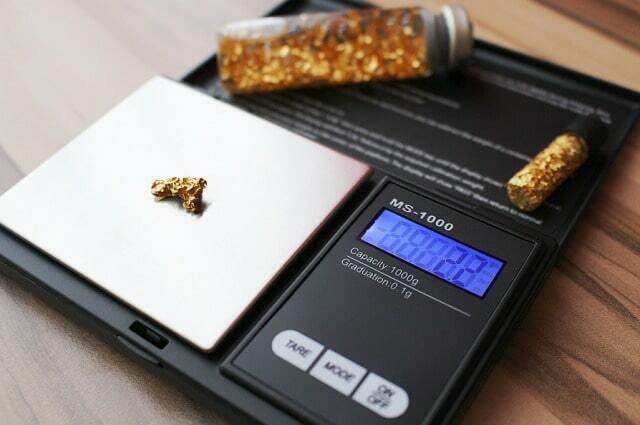 You never know if you can be the next person to literally hit a "gold mine." Interested in learning how the popular mineral copper we spoke about above is also considered one of the best materials in the plumbing industry? Check out this article on our blog.